Maryland Handgun Qualification Course (HQL) Friday February 15, 2019 at 3PM - Hendershot’s Sporting Goods, Inc. This Maryland HQL Course is a FOUR hour class that exceeds the education requirements mandated by State law for applying for a Maryland Handgun Qualification License. This class begins at 3PM at Hendershots in the second floor classroom. Food and non-alcoholic drinks are allowed in the classroom. Please arrive 30 minutes early for fingerprinting. The training fee – $79.99 if signed up online – $89.99 at the door. Hendershots has LiveScan fingerprinting equipment in the store. There is a State mandated fee for the fingerprint service $64.50 that is NOT included in the cost of training. The fee for the HQL License is $50 payable ONLINE ONLY to the Maryland State Police. The license is good for ten years. Total fees: $194.49 if signed up online $204.49 at the door. Students MUST have an email address and a Master Card or VISA Card to complete the online application. The MSP does not accept cash or checks. Students must demonstrate the ability to safely handle a handgun. There will be hands on step by step instruction to accomplish this. Discuss safety in the home and securely storing a firearm in the home. 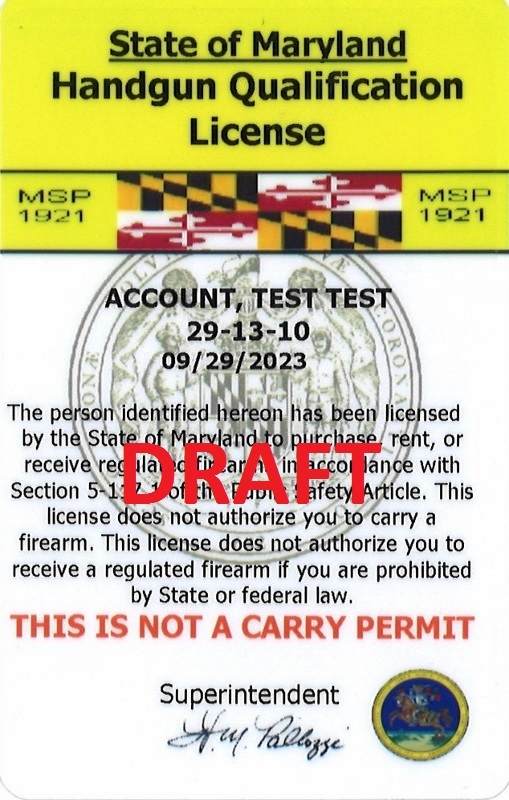 Discuss Maryland Law about lawful transport, storage, and purchase of firearms in Maryland. By law students must demonstrate the ability to load, fire and unload a handgun. This will be done on our indoor climate-controlled range with a firearm from our rental inventory. We even supply the ammunition! Your HQL application will be completed online in the classroom! Hendershots is equipped with free WiFi throughout the building. Hendershots provides laptop computers in the classroom to complete the online application as part of the class. Students are still encouraged to bring their own laptop or other mobile device and complete their HQL application if they wish.